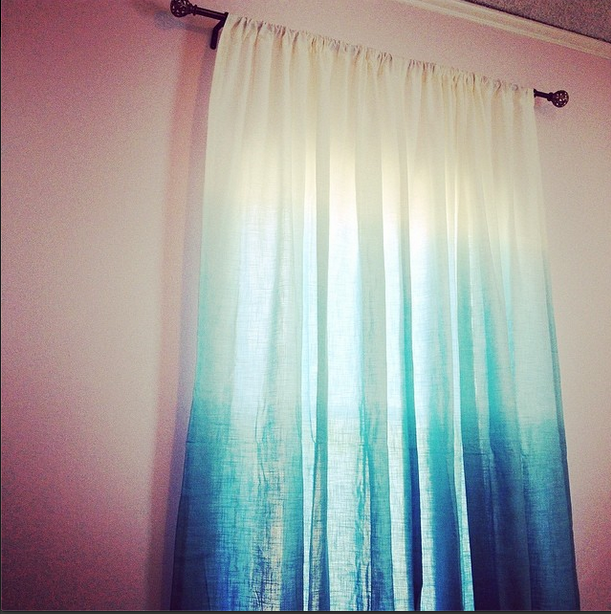 Welcome to my new ombre curtains, the star of my very unfinished let coming-together bedroom! This week is all about adding energy, style and clarity to spaces that feel unfinished, un-moved-into, blah or impersonal. 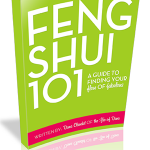 Today, I am going to share a few big feng shui tips as well as some fun lifestyle goodies to add lots of energy and style to a day. Fabulous curtains are at the top of the list today because they do three things for a home that feels cold or impersonal- they add a strong vertical line that is uplifting, they add a feeling of greater safety to a space, and they also add color/texture & pattern to your home. Four big tips for buying/ setting up curtains: make sure they are natural fibers as much as possible, try to see and feel the fabric before buying them, get rods installed by someone who knows what they are doing (!) and either steam press with an iron on a the proper setting for your fabric…or… do yourself a favor and get them green dry-cleaned and pressed without creases before hanging. Most curtains can hold up if you keep your house clean & dusted for several months until they need another trip to the green drycleaner! 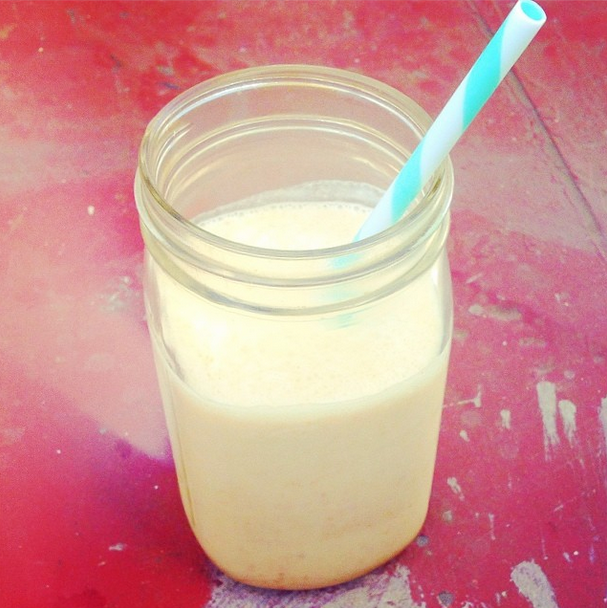 Homemade probiotic shakes are where its at for energy, high immunity to germs and also allergy relief! This one is a Date Shake inspired by my friend McClean. Its a big mix in a blender of half yogurt (*I make uber-probiotic super-yogurt, instructions HERE), half water, a frozen banana and a ton of dates and cinnamon. Yes, its a lot of natural sugar. Its also a whole packed with a whole lot of probiotics, and a huge amount of energy to start the day! Art that feels alive! 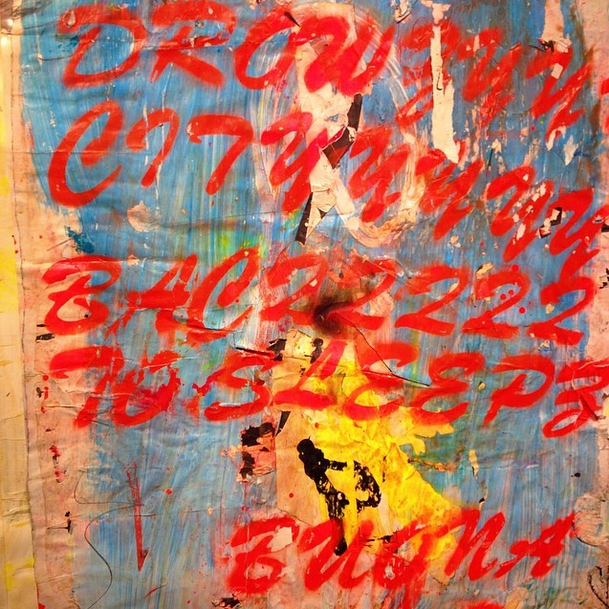 I saw a wonderful exhibit and had a really fun dinner for Matt Maust at Paul Loya‘s gallery in Culver City and the way it felt so sit amidst such emotive art that was hung on the wall unframed, somewhat raw, textures and yet delicate… it made me very excited to live amidst more art that feels alive! 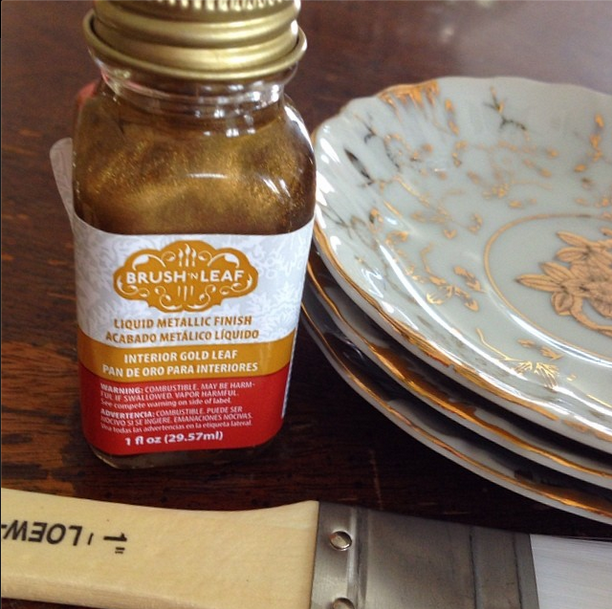 Brush-on gold leaf— it may not be the glitz of actual sheets of golden leaf, but brush-on gold leaf has so many applications that are divine. I’m using this to sparkle up ome old paintings and a coffee table in need of rescue! Raw food experiments! While I intend to make this again soon with a revised crust and am even more lime-intense filling, this key lime coconut raw tart is quite blissful. 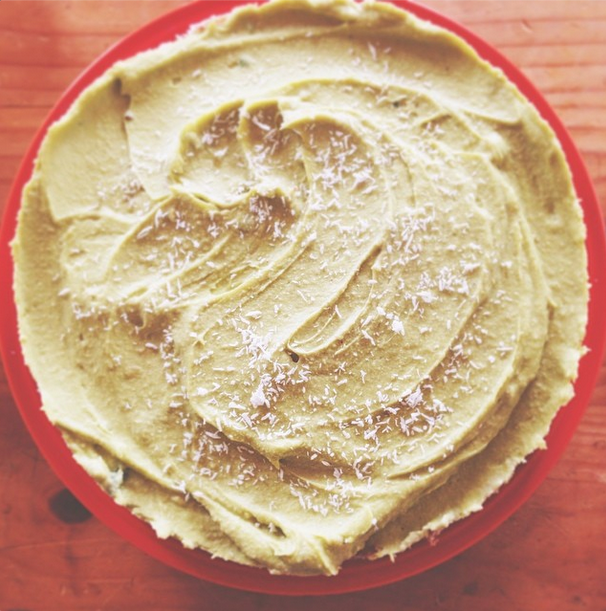 Raw food is ideal for the summer months, adding cool energy to balance out the heat of the season. Experimenting with new salad combinations, new raw tarts and pies will be big in the summer kitchen! Oooh I am all about that brush on gold leaf. Previous post: Why Not Take The Road Less Traveled? Next post: Zaria Forman’s Finger-Painted Waves Of Impossible Beauty!